The American Health Council is proud to appoint Roopika Reddy, MD to its Physicians Board. 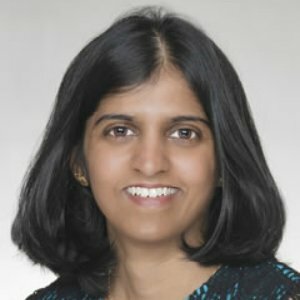 Focusing on Critical and Pulmonary Care, Dr. Reddy has spent the last 2 years of her 11-year career working as a Physician at Respiratory Specialists in Pennsylvania. She plays a multifaceted role at the clinic, treating patients as well as overseeing admissions, consulting team services, teaching, and service responsibilities. Throughout her career, Dr. Reddy has rooted her work in ensuring undeserved individuals and communities receive necessary care they might otherwise have gone without. As a child, Dr. Reddy directly experienced the impact of caring for underserved groups when she would travel to areas where her aunts and cousins would help those in need. The support and mentorship of her family instilled a dedicated work ethic in her from a young age, setting the stage for her journey into a profession in medicine. She earned her MD certification from Ramaiah Institute of Technology in India (2005) and went on to complete a residency for Internal Medicine at Forest Hills Hospital in New York, where she received a Best Resident Award in 2009 for her commitment and compassion towards patient care. She subsequently completed fellowships for Pulmonary Critical Care at the University Hospital of Utah and Sleep Medicine at the State University of New York at Buffalo. Dr. Reddy put her specializations to work, offering Pulmonary services to an underserved town in Delaware. Her career led her to Respiratory Specialists where she’s had the opportunity to hone her expertise in patient care, procedures, and teaching residents and fellows. She’s also incorporated her desire to help others by offering care to patients without insurance. In the next 5 years, Dr. Reddy aspires to take on additional administrative responsibilities, potentially becoming involved with the leadership of her organization. She also plans on continuing her education and sharing her expertise with colleagues, fellows, and residents. In her spare time, Dr. Reddy enjoys reading, watching family movies, and spending time with her family. Respiratory Specialists offers breathing health services, including treatment for asthma, allergies, cough, shortness of breath, COPD, lung cancer, and pulmonary hypertension. Respiratory Specialists also offers a 6 bed sleep lab on site for sleep studies, and is involved in as many as 10 Clinical Research Trials related to Pulmonary, Sleep, or Allergy Medicine.